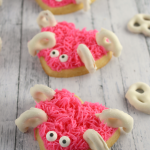 This Valentine’s Day make some easy, adorable snacks that are perfect for all of the sweethearts in your life! 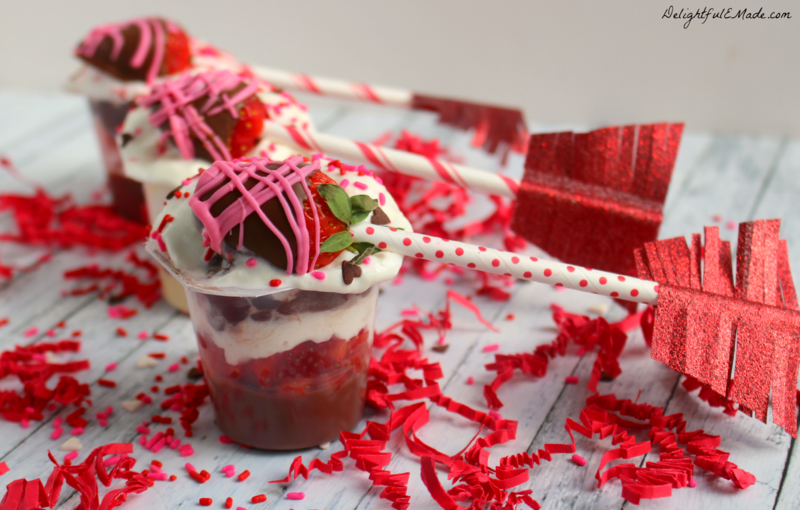 Made with Snack Pack Pudding Cups, and topped with chocolate covered strawberry cupid arrows, these snacks are perfect for celebrating your sweethearts! Like most kids, my son is one that loves to celebrate every possible holiday! Valentine’s Day is right before his birthday, so it often times turns into a party before the party. I’ll be honest, I love Valentine’s Day as well, as I adore the pretty pink and red colors and the idea of celebrating our sweethearts. 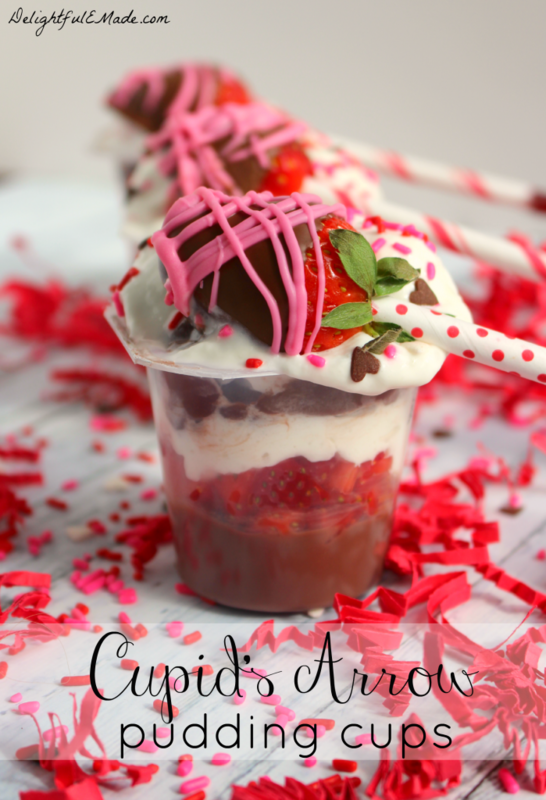 One of my new favorite ways to celebrate my sweethearts is to make these delicious and adorable Cupid’s Arrow Pudding Cups! 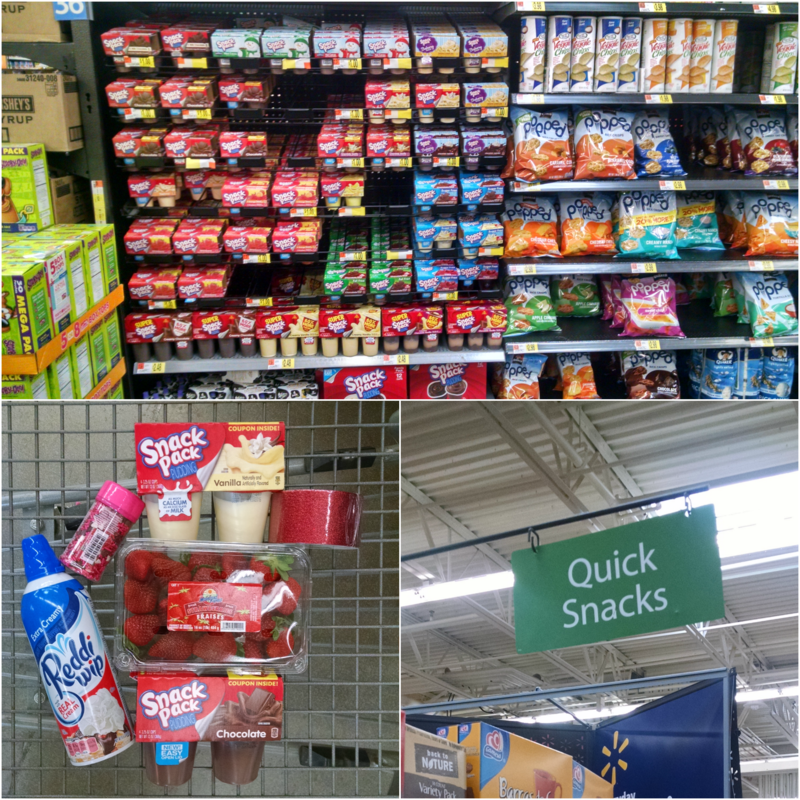 You can find everything you need to make these Cupid’s Arrow Pudding Cups – Snack Pack Pudding Cups, along with fresh strawberries, Reddi Wip, Valentine’s sprinkles and even glitter tape all at Walmart! The perfect stop for all of your Valentine’s Day party needs! 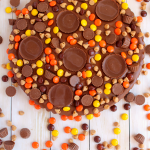 I love mixing in some delicious additions to the snack pack pudding cups. I added some diced strawberries and Reddi Wip and topped off these mini-pudding parfaits with some Valentine’s Sprinkles. 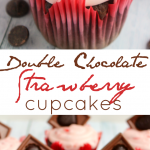 These are wonderful with both the chocolate and vanilla pudding flavors. 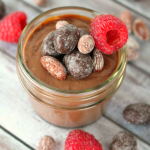 The Snack Pack pudding cups now have Easy Open Lids, which are great for little kids hands. 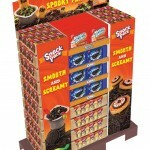 They’re also a fantastic snack option for kids, as they contain the same amount of calcium as an 8 oz. glass of milk. These delicious Cupid’s Arrow Pudding Cups would make wonderful classroom treats or an excellent addition to a Valentine’s Day snack table. Anyway you have them, they’re the perfect way to celebrate your sweethearts! 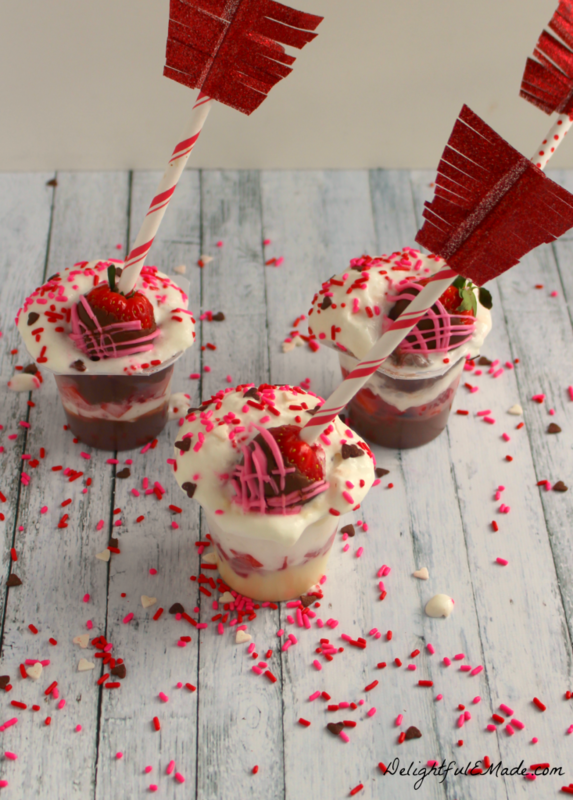 Made with Snack Pack Pudding Cups, and topped with chocolate covered strawberry cupid arrows, these snacks are perfect for celebrating your sweethearts! Rinse and pat dry whole strawberries, leaving the stems. Dip the strawberries into the melted dipping chocolate (follow melting instructions according to package directions), and place on waxed paper to set. Once the chocolate has hardened, melt the pink candy melts, and drizzle the strawberries. Let chocolate harden and set before handling completely. 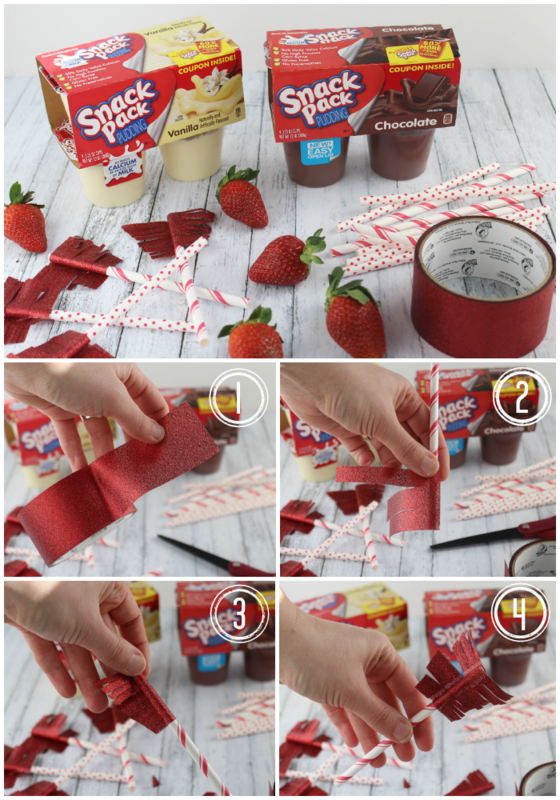 Place chocolate covered strawberries onto the ends of the decorated sticks. To assemble the pudding cups, open, and remove about half of the pudding from the cup, add about 1 Tbsp. of diced strawberries, and 1 Tbsp. of Reddi wip, and top with the pudding you removed. Add additional Reddi Wip, and top with sprinkles. 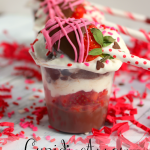 Garnish with the chocolate covered strawberry cupid arrows. Enjoy! I think you win the prize for being the most creative person I know! So cute! Oh my word, those arrow straws are SO adorable!! Loving this idea!